Dog-proof your home and property as if you are bringing home a toddler. A dog explores with their mouth and nose. Familiarize yourself with human-safe foods that are toxic to dogs. Make sure everyone in the household is familiar with them to keep them out of reach. Placing a bag of Xylitol gum, raisins or baker’s chocolate on the countertop is not considered out of reach! Prevent access to or move any valuable or potentially dangerous items out of reach. Be conscious of electrical cables and power outlets. Prevent access to cables or spray a biting deterrent to deter chewing. Bitter Apple works great and does not leave a sticky residue. 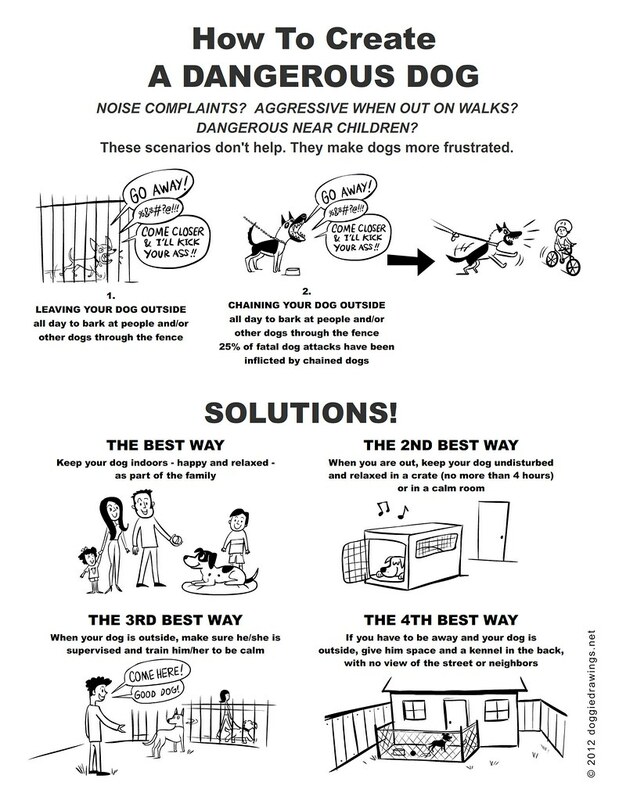 Install baby gates to keep dogs out of danger zones like stairs and open doors. Make sure everyone in the household is conscious of potential exit routes and be mindful to close the door behind them (don’t forget the garage too!). Avoid using harsh chemical cleaners for hard flooring surfaces which can trigger skin/mouth irritation. Some chemical-based air fresheners, carpet powders and aerosol or spray-on odor eliminator products can cause both skin and respiratory irritation as well. Be careful with their use and application. If you have an indoor cat litter box, consider putting a barrier around it. Many dogs find kitty waste irresistible as a snack. Similarly, if you have small caged animals such as hamster or birds, you might want to put a physical barrier around their housing to prevent triggering the dog’s hunting instinct. Limit fertilizer/pesticide application where the dog is allowed access unsupervised. Organic fertilizer such as chicken manure and blood meal might attract dogs and cause digging or rolling around in something that not only smells bad but is toxic to pets. No invisible or underground “electric” fence! JAs have strong hunting instincts and the short quick shock may not be a sufficient deterrent to keep them from chasing after prey. Speaking of hunting, check to see if you have nesting “wildlife” on property and evaluate whether to relocate them. Your JA has a strong prey drive. Small birds and rodents will not stand a chance, but nesting coyotes, raccoons and feral cats may put up a fight and injure your dog. Keep in mind that wild prey may be carriers of fleas, ticks, rabies, etc. If you live in an area where poison/bait is commonly used to control pest population, remove any poison/bait from your property and be on the look out for dying rodents on your property. If you have bird feeders on the property, consider deep cleaning the areas near and underneath the feeders. Dogs can get sick with Psittacosis from bird feces. If you have a pool, hot tub or bodies of water on your property, do your best to limit your dog’s access until he has learned to swim, and even then, the dog may not be able to exit the body of water without assistance and can drown. Make sure everyone in the household is aware of potential drowning risks. Consider notifying neighbors of adjoining property that you are bringing home a new dog, in case they find your escaped puppy playing in their yard, or if they have outdoor cats that are accustomed to roaming your property unsupervised. If you plan to leave your dog outside unsupervised for extended periods of time, consider building an outdoor kennel run in a well-shaded area and provide access to fresh water. Do not use a tie out or chain your dog outside. What happens when you regularly tie up your dog? Water, and travel water bowl or dispenser. A dispenser such as a Gulpy Water Dispenser comes in very handy for hikes and longer dog walks. No hamster water bottle please! Car travel. Please decide where you want your dog to ride safely according to the laws in your state. In some states, it is a traffic violation for a dog to be in the driver’s lap while the vehicle is in motion; in other states, you can be fined for incorrectly transporting a pet (e.g., an unrestrained pet in the uncovered bed of a truck). Sherpa bag/soft crate that can be secured to the bench seat or trunk of the SUV/wagon. This option is more realistic for a puppy. Consider plastic crates that can be secured to the bench seat or trunk of the SUV/wagon, or floor of a minivan. This option is most secure, especially if the dog is too distracting or a destructive chewer. For car rides on a hot day, you can freeze a bowl of water and attach it to the crate gate with a fan on the outside. Portable AC! If you choose to let your dog ride in the cargo portion of the SUV/wagon, consider installing a barrier/guard. Please note, a seat cover/hammock alone will not prevent your dog from distracting the driver or becoming a projectile in the event of a low or high speed collision. Plane travel. If flying your puppy home in cabin, a pet carrier approved by your airline will be needed. If your dog is too big to fly in the cabin (and unless it’s a very young puppy, it will be too big for cabin travel), domestic airlines require the use of plastic crates and zip ties to fly in the cargo hold. Please contact your airline for specific requirements and prices and to let them know you’ll be traveling with a pet so appropriate measures can be arranged to de-pressurize the cargo hold. Some carriers do not allow live animals to fly cargo during the warmer months.